The friendliness and hospitality of the Irish people is well known and post match socialising can go on for hours after the game, one of many reasons for choosing Ireland as your tour destination. 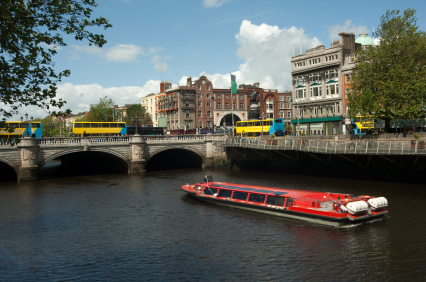 Football facilities are similar in standard to the U.K.
DUBLIN is the capital city and is built on the banks of the River Liffey. It is easily reached with short flights from most UK airports and the high speed ferry from Holyhead. The city is steeped in history and has some magnificent buildings. The commercial, shopping and nightlife area is centred around O'Connell Street and the Temple Bar areas. Dublin is also noted for its music scene with pubs and clubs offering traditional Irish music and contemporary rock and dance sounds. A favourite excursion is to the Guinness Brewery. CORK is located on the Atlantic coast and has a direct ferry link with the UK. 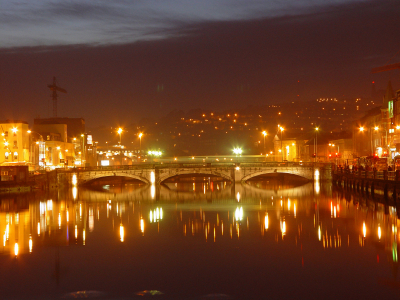 Cork is Ireland's second city, a bustling port with lively nightlife and a busy shopping centre. Favourite excursions are to picturesque Blarney, famous for its stone and castle, and to the Jamesons Distillery and Heritage Centre where you can taste the story of Irish whiskey. Youth Hostels and Budget/Medium/First Class Hotels available in both cities. Trabolgan Holiday Village is situated near Midleton, 20 miles east of Cork. This is an excellent centre and is very suitable for youth groups. Accommodation is in fully equipped modern holiday homes and detached bungalows.